Michael Dourson has a reputation for minimizing the risks of toxic chemicals. Critics say DoD is turning to him to dodge contamination responsibility. The Defense Department has sought to hire a controversial scientist who was blocked from joining the Trump administration as the Pentagon fights state and federal chemical regulations that could lead to billions of dollars in cleanup costs and legal settlements, according to documents obtained by POLITICO. The scientist, Michael Dourson, withdrew from consideration to be an assistant administrator at the EPA in December 2017 following bipartisan opposition to his past research that downplayed the risks of a chemical found in consumer products like Teflon and firefighting foam used by the military. Nearly a year later, a Defense Department official sought to hire Dourson to lead a new study on the health risks of that same class of chemicals, according to an email obtained by POLITICO under Kansas’ public records law. Public health experts say new scientific reviews are unnecessary and would only delay important steps to clean up the chemicals that are showing up in drinking water supplies around the country. The most well-understood of the chemicals, PFOA and PFOS, have been linked with kidney and testicular cancer, hypertension and other ailments. They are suspected to be contaminating at least 401 military bases across the country, where they were used in firefighting foam, according to the Pentagon. While Dourson does not appear to have been hired, Democrats are furious that he was even a candidate for the government-funded work. “It’s as absurd as it is deeply troubling that, despite his dangerous record on chemical safety, the Department of Defense could be seeking to hire Dr. Dourson for this drinking water project,” Sen. Tom Carper of Delaware, the top Democrat on the Senate Environment and Public Works Committee and who led opposition to Dourson’s nomination for EPA, said in a statement to POLITICO. The effort to hire the controversial scientist is the latest revelation about DoD’s attempts to influence research on the chemical under the Trump administration. The Pentagon has also delayed release of health warnings and cleanup recommendations, as POLITICO has previously reported. The state of Kansas is home to a number of military sites, including Fort Leavenworth, where testing has found high levels of PFOA and PFOS in nearby drinking water wells. 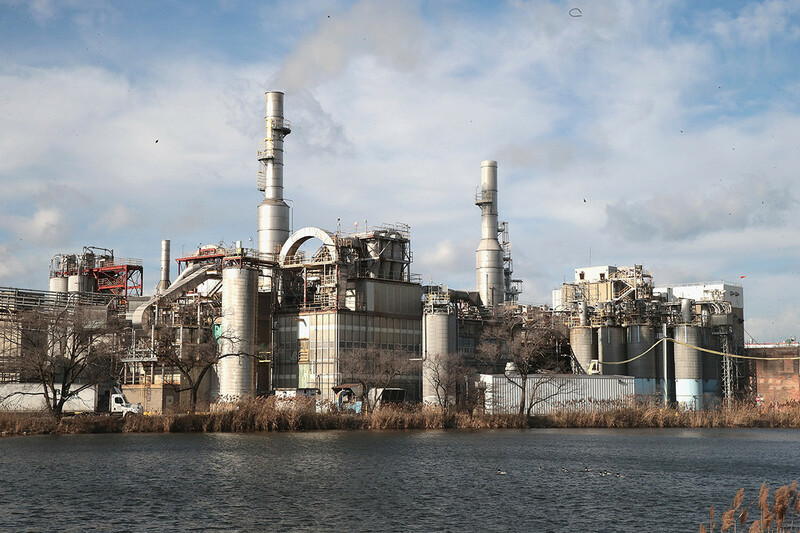 The Kansas Department of Health and Environment is in the early phases of deciding how to address the contamination, and last fall it convened an advisory group to help develop a monitoring plan. That group includes state and federal officials, health experts, industry representatives and drinking water managers. In a Nov. 20 email to the Kansas official heading the state’s work on the issue, a regional Defense Department official serving on the advisory panel asked the state to request a new scientific review of the chemicals’ dangers that would be done by an outside researcher hired by the military. “The goal will be to identify toxicity values that are robust, that are scientifically defensible, and that meet EPA criteria for selecting toxicity values used to accomplish [Superfund] processes, investigations and response actions,” wrote the official, Stanley Rasmussen. “It is anticipated the review will be conducted by Toxicology Excellence for Risk Assessment (TERA) and/or the Alliance for Risk Assessment (ARA),” Rasmussen wrote. Both outfits are run by Dourson. The Kansas official leading the state’s work on PFOA and PFOS, Jaime Gaggero, said in a statement that the state did not make the request “and we do not plan to.” It is unclear whether DoD moved forward with plans to hire Dourson, who declined to discuss his status. “As a company policy, TERA does not divulge information about sponsors or contracts prior to any agreements,” Dourson said by email. Critics say DoD appears to be taking a page from the chemical industry’s playbook — attempting to use Dourson’s research and state-level contacts to stave off expensive regulations and lawsuits. His track record contributed to the bipartisan opposition that sunk his nomination at EPA. One of his most controversial projects related to the very same class of chemicals. In 2002, the state of West Virginia was looking to convene a panel that would recommend a safe limit for PFOA, which had contaminated drinking water near one of DuPont’s plants. Emails released years later show the chemical giant recommended Dourson for the job, which he ultimately got. His panel recommended a safety threshold that was 150 times higher than the company’s own internal limit; when EPA evaluated the chemicals in 2016, it recommended a standard thousands of times stricter than the one Dourson endorsed. Since Dourson’s EPA nomination was defeated, he has restarted work on the class of chemicals, including filing comments to a federal study on PFOA, PFOS and related chemicals this summer that made the case for less stringent safety limits. Adam Finkel, an environmental health science professor at the University of Michigan who has worked with Dourson in the past, said he has a reputation among industry for producing science that is “favorable to what the funders want to hear” while at the same time cultivating an appearance of impartiality. “There are plenty of unbalanced groups around, but I don’t know of too many others who are as unbalanced as his are who are aggressively promoting the fact that they are balanced,” Finkel said. Defense Department spokesperson Heather Babb did not respond to questions about the effort to hire Dourson but said the department takes its responsibility for PFOA and PFOS contamination seriously. “The long-term solution to PFOS and PFOA in our environment is a complicated national issue that needs national attention. DOD has been following, and will continue to follow, the guidelines and toxicity levels established by EPA,” Babb said in a statement. The move by the Defense Department comes as independent scientific studies increasingly show that PFOA, PFOS and other chemicals in their family pose dangers at extremely low levels of exposure. Communities across the country whose drinking water has been affected by the contaminants are pressuring state and federal regulators to act. EPA has not established a federal drinking water limit for PFOA and PFOS, but the agency said in a 2016 drinking water health advisory that the chemicals could pose dangers at concentrations above 70 parts per trillion. The Trump EPA has committed to deciding whether to regulate the chemicals under the Safe Drinking Water Act and the Superfund law. In the meantime, a number of states have set or are considering setting drinking water limits of their own, at levels far lower than EPA’s health advisory levels. New Jersey set a limit of 13 parts per trillion for PFOA, and Vermont has a 20-parts-per-trillion limit for PFOA and PFOS. Independent experts who study the chemicals say there are already a plethora of studies assessing the risks of for PFOA and PFOS, and that there is no need for the military to seek another like the one described in the email. But the Defense Department has a major stake in halting this trend toward lower limits. It will be on the hook for cleaning up contaminated bases, providing safe drinking water for local communities, and potentially compensating service members who experience health effects from their exposure. When a division of HHS, the Agency for Toxic Substances and Disease Registry, was preparing a report last year that warned the chemicals could pose dangers at levels 10 times below EPA’s advisory level, a Pentagon official raised alarm bells with the White House. “We (DoD and EPA) cannot seem to get ATSDR to realize the potential public relations nightmare this is going to be,” an unidentified White House official wrote in an email released to the Union of Concerned Scientists under the Freedom of Information Act. Environmental advocates who follow Dourson closely say the military’s new effort to influence the science through state-level action fits the controversial researcher’s pattern. Dourson’s group TERA offers a free service to help states with risk assessment. But emails from Dourson obtained by Greenpeace under the Freedom of Information Act indicate that this work has at least partially been funded by the chemical industry’s primary lobbying group, the American Chemistry Council. The emails also show that, when he worked with states in the past, Dourson pushed the conclusions of research he had conducted for industry. For instance, a series of emails from May 2017 show Dourson discussing the chemical trichloroethylene with officials from the states of Missouri and Indiana. In the emails, Dourson promotes a workshop where he will discuss safety thresholds for the chemical, which were described in a “recent publication” — one that was funded by ACC and argued for a standard that was as much as 15 times weaker than EPA’s. Dourson copied in a high-level staffer at ACC, Steve Risotto, on one of the emails, allowing him to see the conversation without the state officials’ knowledge. “Now why would he send that email to ACC — and keep the fact that he was doing so secret from Missouri and Indiana officials?” Richard Denison, with Environmental Defense Fund, said in a blog post analyzing the emails. Risotto is also a member of the PFAS advisory group. ACC said he was not involved in discussions about hiring Dourson in Kansas.